The Campaign For Trade Union Freedom can provide speakers on the current challenges affecting trade unions, the campaign and the fight against the anti-trade union laws etc. We are happy to speak at workplace meetings, union branches, trades council meetings, regional meetings, trade union conferences and fringe meetings. If you would like a speaker for your event or meeting, email us at info@tradeunionfreedom.co.uk or call us on 0151 207 5264/5. Please support the campaigns listed below. Workers around the world are suffering from and struggling against the impact of austerity measures imposed on them by governments, financial bodies and employers. At the same time, the rights of trade unions to represent their members and negotiate collective agreements are under attack around the globe. Two people who understand these problems more than most and who are tasked with protecting workers and promoting an alternative agenda are the general secretaries of the trade union centres in Britain and at the international level. In this 2013 ‘In Conversation’ Frances O’Grady, General Secretary of the TUC and Sharan Burrow, General Secretary of the ITUC will outline their priorities in this period of austerity. Chair will be John Hendy QC. The coalition government has made it easier for employers to sack staff, and harder for workers to take claims for bad treatment to an employment tribunal. Maternity rights are at risk and health and safety protection under fire. But this is not a head-on big-bang assault. Instead rights are being sliced away bit by bit. It’s a stealth attack – and many haven’t noticed. That is why the TUC and Britain’s trade unions are campaigning against the changes. We need to make people aware of what they might lose. And make sure ministers know that we have rumbled them. For more information click here. The Shrewsbury 24 campaign committee was set up by several of the convicted Shrewsbury pickets with local trade union activists following a meeting in Liverpool in 2006. 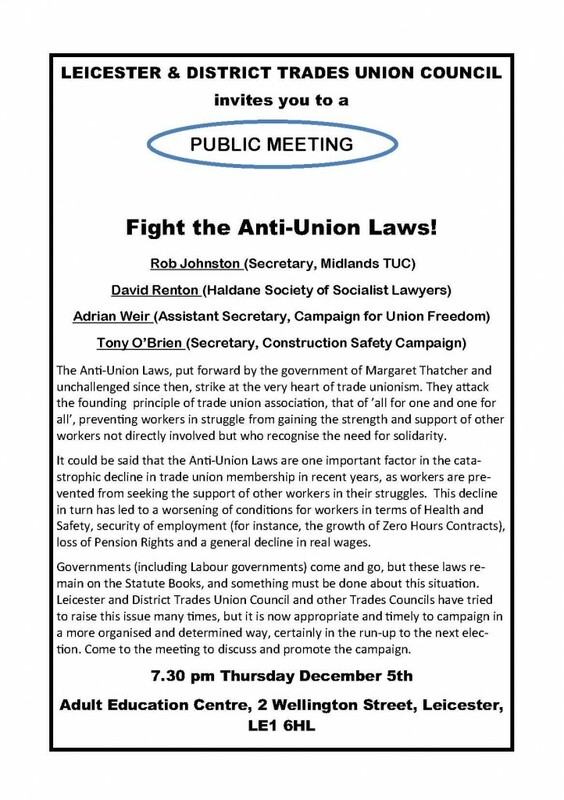 They are supported by many national trade unions, local branches and trades council as well as by individuals and welcome further affiliations and support. The campaign is seeking to overturn the unjust prosecution of 24 building workers who were charged following the first ever national building workers strike in 1972. They picketed building sites in Shrewsbury during the dispute and were prosecuted in Shrewsbury Crown Court in 1973. They became known as the “Shrewsbury 24”. The main focus of the campaign at present is an application to the Criminal Cases Review Commission (CCRC) to have the cases of the 24 referred to the Court of Appeal and for these miscarriages of justice to be overturned. It was submitted on the 3rd April 2012. Click here for more information. Sign the e-petition by clicking here. 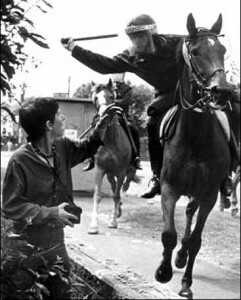 The Orgreave Truth and Justice Campaign is seeking truth and justice for all miners victimised by the police at the Orgreave Coking Plant, South Yorkshire, on June 18th, 1984. Facebook page – click here. 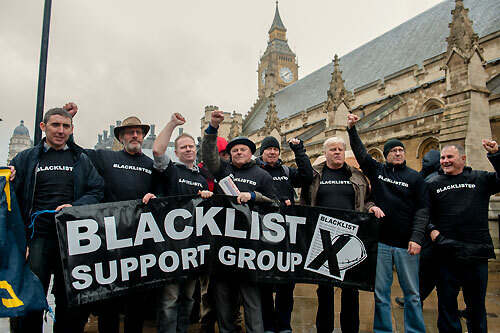 The Blacklist Support Group is dedicated to exposing blacklisting and blacklisters. They work with unions and activists to fight for workers’ rights – and that means being able to stand up for health and safety without losing your job. Their blog is hosted by Hazards, the only independent, union-friendly magazine to win major international awards. Hazards recognises that workplace unions are your best hope for better, safer work. Click here for more information.